Premysl Bercik had planned on becoming a cardiologist, but a chance research project altered the course of his career. As the Czech-native was finishing his medical studies in his home country, he accepted an offer to study at the University of Lausanne in Switzerland. What was originally a one-year research project on the enteric nervous system evolved into a five-year stay, shifting his focus from cardiology to gastroenterology. “I was working on a very complex model of isolated intestine and it was then I got hooked on the digestive tract,” he recalls. Bercik continues to draw inspiration from those early days in Lausanne and today, is a leading gastroenterologist and researcher. 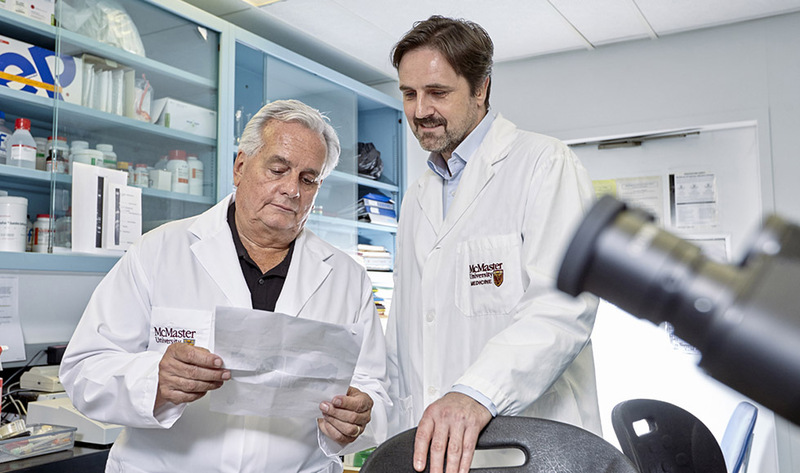 Since arriving at McMaster University in 1998, he and his mentor, Stephen Collins, have established a highly-productive research lab within McMaster’s Farncombe Family Digestive Health Research Institute. The Collins Bercik lab focuses on common categories of intestinal diseases that include functional disorders such as irritable bowel syndrome and inflammatory bowel disease. Recognizing the strong link between chronic intestinal diseases and mental health, the research extends to the brain and anxiety and depression. As a gastroenterologist, Bercik says his patients inspire his research, and conversely, his research helps him advise his patients. Bercik is an associate professor in the division of gastroenterology with the Department of Medicine at the Michael G. DeGroote School of Medicine at McMaster, and also a practicing gastroenterologist in Hamilton. Dr. Stephen Collins, director of the Farncombe Institute, says Bercik’s research is translational and covers the bench-to-bedside spectrum. “The research led by Dr. Bercik is making a tangible difference in patients experiencing gastrointestinal issues,” says Collins, Distinguished University Professor of the Department of Medicine at McMaster’s Michael G. DeGroote School of Medicine. Bercik says his well-regarded research is a team effort from the various students, postdoctoral fellows and staff members in his lab that is further complemented by members of the Farncombe Institute. He adds McMaster’s strength is its ability to bring researchers together who can look at the big picture when it comes to digestive health. 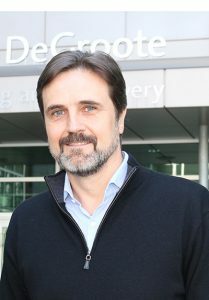 A key part of this team is his wife, Elena Verdu, who is herself a respected researcher and fellow associate professor in the division of gastroenterology. The Collins Bercik lab works in collaboration with Verdu’s group in the Institute specifically on the spectrum of gluten related disorders. As such, work is a key part of Bercik and Verdu’s lives. Their offices are even next to each other in the Farncombe Institute. “We do research and discuss research 24/7, whether it is here at the office or at home at the dinner table,” he says. While Bercik admits he does think about what life would have been like as a cardiologist, he wouldn’t have it any other way.